After a three day adventure that included a bus ride, a ride in a police car, another bus ride, 4 hitchhikes, and a 12 hour ride in a gravel truck, we were finally on the last stretch of our journey to Xueshan. Just as the first several hundred kilometres were no cake walk, the last 80 kilometres was not going to be easy. There are no buses or natural traffic volume moving from Machen to Xueshan. Most of the drivers didn't know where Xueshan was (and the map was not useful in resolving that). 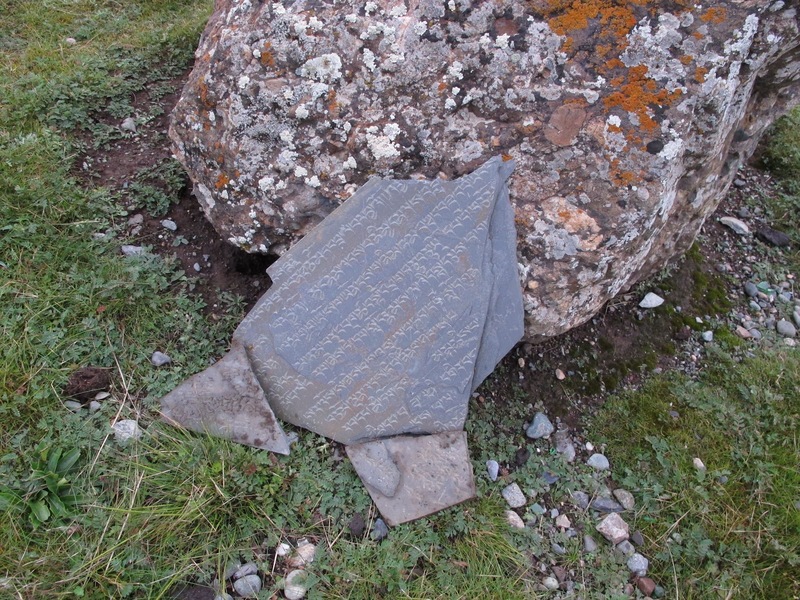 Those that knew of Xueshan didn't want to go there (we would soon discover why). Eventually, Pierre convinced an unsuspecting driver to make the trip and we were on the move again. As each kilometre passed, the road conditions deteriorated. The mud became thicker and the ruts became deeper. There was an unmistakable combination of regret and determination in the driver's face. After bottoming the car out several times, there came a point when Pierre and I needed to get out and push the vehicle in order to keep moving forward. 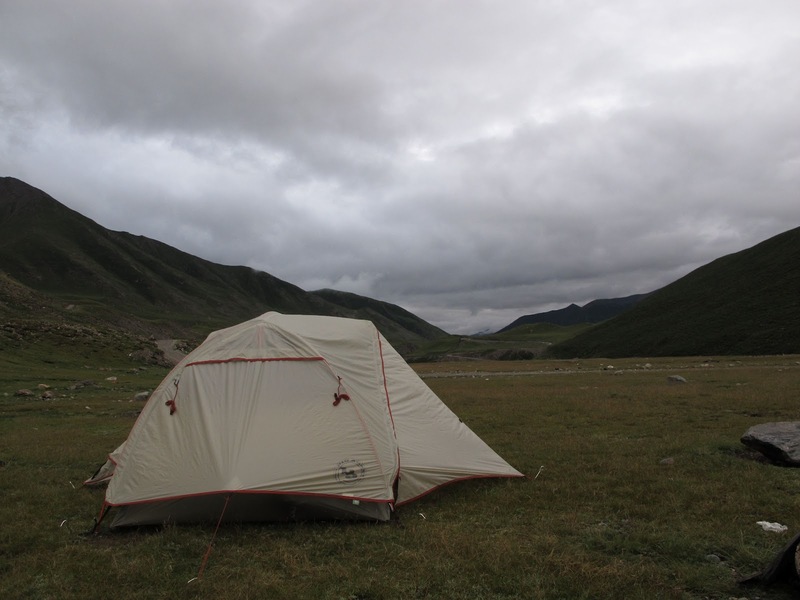 After almost four hours, we finally arrived in Xueshan and were ready to begin the preparations for our trek. 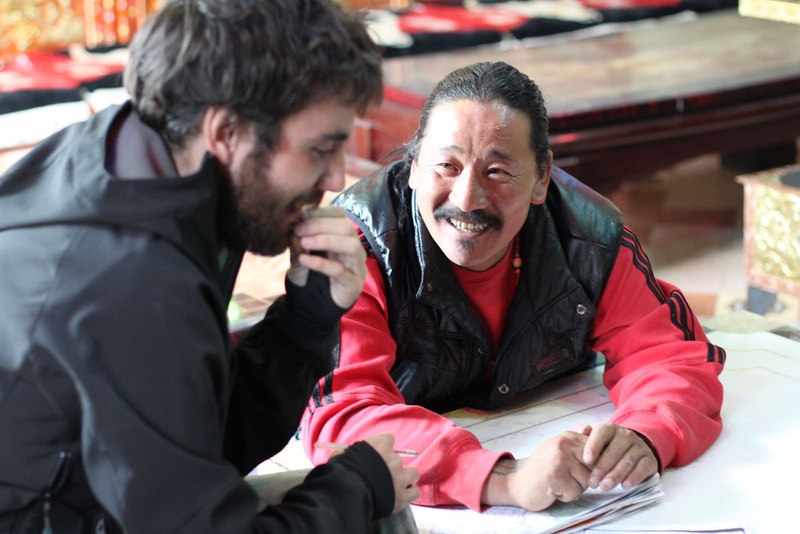 The plan was to spend the next five days making our way around Amnye Machen, eastern Tibet's most sacred mountain. We had a rough hand drawn map of the trek that Pierre found on the internet. We also had a tent and sleeping bags and some eager legs. Since my stove fuel was confiscated at the airport, we knew that would need to be creative with our food and water supplies. This is where a packhorse was critical; we could not carry all of the necessary supplies for the coming miles on our own. We began asking around about renting a packhorse. The response from the first person was quick and clear; there were no horses for rent in this town. We tried again and again. The answer remained the same. 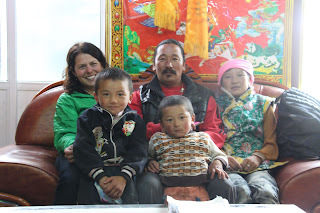 The task felt hopeless as we were running out of people to ask (Xueshan is not a large town). We eventually came across a man who was hanging around the front doorstep of his house. He seemed a bit of a cowboy, with his long hair tied back in a pony tail and a cigarette hanging from his lips. Pierre asked him about getting a horse. The man asked if we had money. We nodded. He then invited us to sit down in his living room to wait. I use the term living room because it fits the location of the space within the house. But, in fact, temple might be a more fitting term. Every wall was entirely covered with elaborate and colourful carved wood. Around each side of the room were massive leather couches of the sort that you might expect to find in a nice whiskey bar. In front of each couch was an impressive wood and marble table. This would be an unusual sight in any town of this size and stage of development (no plumbing or pavement); the fact that it was in a town at the end of 80km of road that was barely drivable made the experience all the more surreal. If there was a man in this town who could get us a horse, it was this guy. When the man returned, he had brought with him a man who owned a horse. The initial price was prohibitively high - but after 3.5 days getting here, we were sure that this was an obstacle that we could overcome. Using a combination of picture drawing and words, the negotiations began. We eventually found agreement and the owner of the horse left to retrieve his horse so that we could leave as soon as possible. Pierre and I were excited, but we had a few questions. The process of procuring a horse had been such an ordeal that we hadn't had an opportunity to consider the finer details of the actual trek. - How could we build a fire in an area that has no trees? - Would we need to carry something for the horse to eat or drink? - Was there anything special that we would need to know when we took the horse across rivers? - What would we do with the horse when we were sleeping at night (recall, no trees around)? And…who could answer these questions for us? Surely, we didn't want the horse owner to realize how unprepared we were to take his horse. As it turned out, these were unnecessary questions. The owner of the horse returned and advised us that he was no longer interested in renting his horse out; no explanation offered. With the horse alternative exhausted, we probed about taking a yak instead. We learned that yaks don't move on their own, so this alternative would involve multiple yaks. In the end, that was an irrelevant detail, as renting a yak was not an alternative in this town either. Frustrated but determined, Pierre and I grabbed a few supplies (mostly cookies and water) and set out on foot. We are taking a shorter route around the mountain, which should be only 2 or 3 days, according to our hand drawn map. The first few hours have been quite nice, despite the weight of our packs. So far, we've seen only three other hikers; all of whom were monks. We found a quiet spot near a river to set up camp. 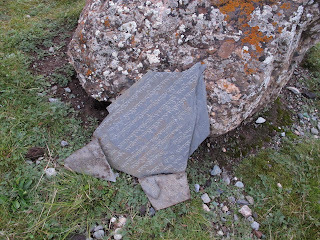 Next to our tent, we uncovered a broken slate tablet with Tibetan characters etched into it. This is without a doubt a different mountain experience than Jiuzhaigou. Precaution is more fun than abstinence.